Brevard Zoo’s mission is “Wildlife Conservation through Education and Participation” and it fulfills this through hands-on conservation projects run by Brevard Zoo, as well as educating Zoo guests and school groups and supporting other organizations’ research and conservation efforts. Through its Quarters for Conservation program, Brevard Zoo has supported oyster reef and shoreline restoration, sea turtle research and conservation, Northern Right Whale monitoring, a monofilament recycling program, dolphin and manatee research and conservation and coral reef restoration. In 2011, Brevard Zoo’s Quarters for Conservation Program raised over $24,000 to support marine research and conservation projects! Brevard Zoo also has some of its own hands-on, community-based conservation projects including oyster reef restoration and shoreline restoration along the Indian River Lagoon. 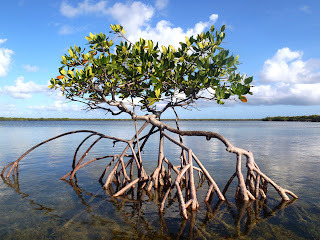 The Indian River Lagoon is the most biologically diverse estuary in North America with over 4,300 plant and animal species considering it home! The Oyster Reef Restoration Project was started in 2005 by Dr. Linda Walters of the University of Central Florida and now includes Brevard Zoo and The Nature Conservancy as partners. The oyster mats—constructed from mesh and oyster shells—are placed in the Indian River Lagoon to provide a natural substrate for oyster larvae to settle. Results show that the oyster mat restoration technique is very successful - after one year in the water, an average of 79 new oysters settled on each mat. Why oysters? Oysters are filter feeders that improve water quality and clarity by filtering–one oyster can filter up to 50 gallons of water a day! Oysters are also a food source and provide habitat for many species of fish, birds, and invertebrates, and oyster reefs stabilize and protect shorelines. But, oysters face a number of threats including overharvesting, habitat degradation, reduced water quality, disease, and boat wakes. Thanks to approximately 25,000 volunteers since the project started, together with the project partners, more than 28,000 oyster restoration mats have been constructed to restore 50 reefs in Mosquito Lagoon. 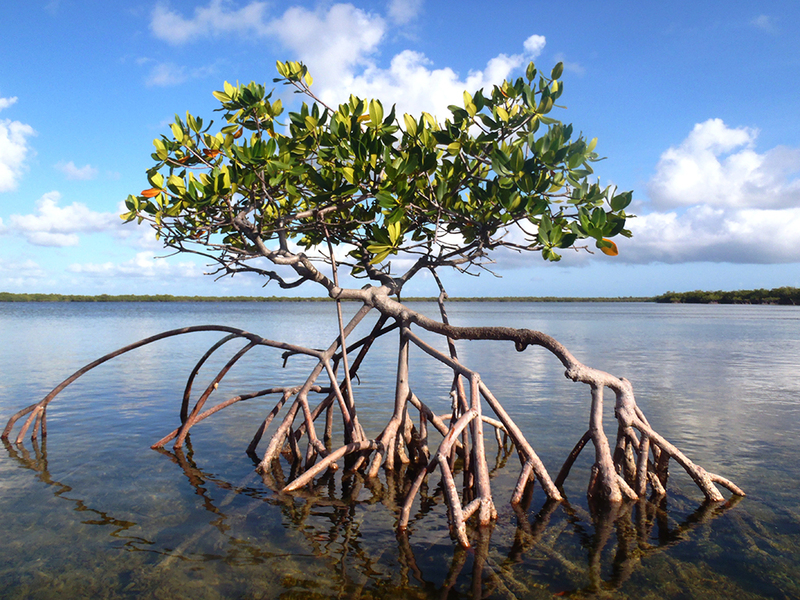 Brevard Zoo partnered with Florida Department of Environmental Protection’s Indian River Lagoon Shoreline Restoration Project (FDEP IRL SRP) in 2010 to create the Adopt-a-Mangrove program. 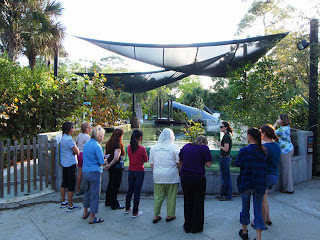 The Adopt-a-Mangrove workshops are held at Brevard Zoo with a fieldtrip to the Brevard Zoo’s Indian River Lagoon exhibit to discuss the importance and background of the Indian River Lagoon. Participants also learn about the history of FDEP’s Indian River Lagoon Shoreline Restoration Project, the importance of mangroves and shoreline restoration and plant care. At the end of each workshop, participants take home a plant to "foster". Workshop participants include Zoo guests and members, school groups, scout troops and community members. After six months of “fostering” the plants, participants return them to be provided to Florida Department of Environmental Protection’s Indian River Lagoon Shoreline Restoration Project for use in habitat restoration along the Lagoon. Become a Brevard Zoo volunteer and help with conservation projects, as well as assist in other areas of the Zoo ranging from administration to animal feeding. Participate in one of our local public events. See Schedules below. Please note, mat making workshops are free and open to the public. Workshops do not include Zoo admission if the event is held at Brevard Zoo. 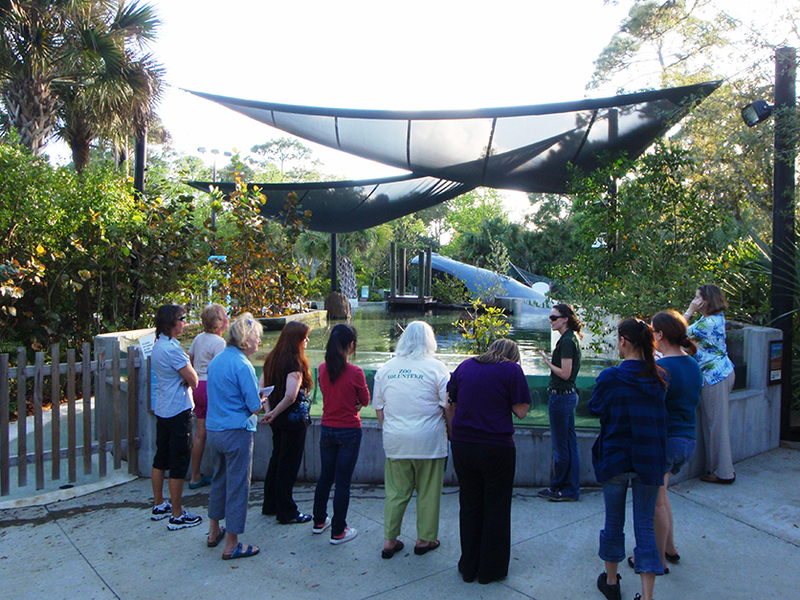 If you are interested in booking a private event for your class or group, or for more information about this project, please contact Jody Palmer at Jpalmer@brevardzoo.org or call 321.254.9453 x 265. Workshops are provided free to the public. For more information or to attend a workshop please email Amy Reaume at areaume@brevardzoo.org.